The CVA range of linear and quarter-turn actuators provide an electrically powered process control operator suitable for most control valve types and sizes. The CVA sets a new standard for process control and valve actuation. Rotork has proven expertise in applying new technologies in the automation of valves to bring enhanced performance and innovative features. This philosophy has now been applied to a new range designed specifically for the exacting demands of process control, specfically continous modulating control valve applications. 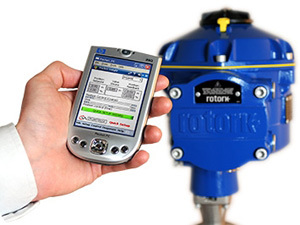 Using the combination of advanced actuator engineering and process control experience, plus specification input from major control valve end users, Rotork has produced a range of control valve actuators that are unique in the industry and provide solutions to many common control issues. • Single-Phase or Direct Current power supplies. • Linear drive action (CVL). • Quarter-turn drive action (CVQ). • On-board datalogger included as standard. • Bluetooth® compatible for local setup / control and diagnostics. • Accurate and repeatable positional control using 4-20 mA signal. • Digital communication options including HART®, Profibus and Foundation Fieldbus. 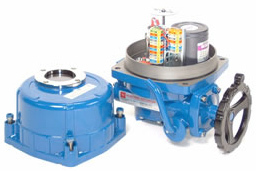 • Direct torque / thrust measurement for protection and monitoring. • Scalable control input characterisation. • Configurable fail-to-position option using supercapacitor technology. • Optional Intrinsically Safe control inputs and feedback outputs. • Continuous unrestricted modulation duty – S9. • Watertight IP68 and explosionproof enclosures. The HQ range of quarter-turn electric actuators. Hogfors Wafer Pattern Ball sector Control Valve. Hogfors 455 Flanged Ball sector Control Valve.